There is in our Nature as three-brained-beings the capacity to be both affirmative and receptive. We can make efforts and we can receive help. When the two are in balance, something is set free in us that is a genuine creation, a new reality. This belongs to the Work and in a very special senses, is the Work. For Information about the Event ?? This is a rare opportunity to hear a live performance of the music written in collaboration by Gurdjieff and Thomas de Hartmann. The music comes from a wide variety of sources in the East, from Tibet to Armenia to Morocco, synthesized by de Hartmann into a unique sonority which brings the listener into a deeper level of experience. In addition there will be representative works from de Hartmann’s classical output, rarely performed. Three romantic works written in 1902, when de Hartmann was 16 years old, and the Two Nocturnes Op. 84 (1953) present two aspects of the composer’s ecletic style. 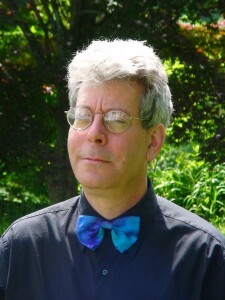 Elan Sicroff is internationally known for his interpretation of this music. He was trained at the Juilliard School by Jeaneane Dowis, protégé of the great Rhosinna Lhevinne. He attended the International Academy for Continuous Education from 1973-5, a Fourth Way School directed by J.G. Bennett, a leading exponent of Gurdjieff’s teaching. From 1975-79 he worked with Mme de Hartmann, wife of the composer. Since then he has given numerous recitals of this music in the US and Europe. In January 2009 he toured Italy, England and Malta. On Jan 30, 2010 there will be a performance in St. John’s Smith Square, a major recital hall in London. Elan has produced 2 cds of the Gurdjieff-de Hartmann music, and is presently completing a third, to be available by Christmas 2009.